After a long tiring day outdoors, pour 5 drops of this blend into a bowl full of iced water, dunk a towel in it, wring it out and wipe your skin with it. 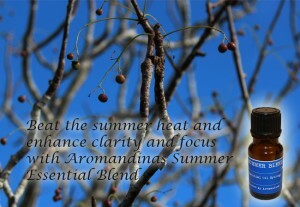 This summer, keep your mind free of useless thoughts and revel in the breeze of coolness that the Aromandina Summer Essential Oil Blend brings. Looking forward to summer, are we?